Like it or not, the electronic age has envaded virtually every corner of our lives. And corporate law is no exception. In a world which once required wax seals to make contracts "legal," today parties can enter into multi-billion dollar contracts with merely the click of a mouse. I'll be speaking on the current state of e-corporate law under federal law and Texas and Delaware state law on February 10 at the Belo Mansion in Dallas as part of the UT-CLE Securties Regulation and Business Law Conference. Thanks for being a part of my blog during 2010. Why is Delaware considered to have a friendly legal environment for corporations? Well, for a lot of reasons. One reason I will be focusing on in this post is its usury law. More specifically, Delaware has a broad and clear exemption from its usury law for transactions over $100,000. Many states cap the amount of interest a lender can charge a borrower, thereby limiting the access to loans for many businesses with weaker credit. In Delaware, a lender may legally charge any rate of interest for a loan over $100,000 which is not secured by a mortgage against a principal residence of the borrower. See Section 2301(c) of the Delaware Commerce and Trade Code. Is Mark Cuban Gordon Gekko? Mark Cuban, of course, is the billionaire owner of the Dallas Mavericks. Gordon Gekko is the fictional anti-hero portrayed by Michael Douglas in the classic 1987 film Wall Street. Gekko is perhaps the person most associated with insider trading in U.S. popular culture. So what does Mark Cuban have in common with Gordon Gekko? Too much, alleges the United States Securities and Exchange Commission (SEC). In 2004, Cuban sold his entire 6.3% stake, or 600,000 shares, of Mamma.com Inc. (the Company) just before the Company announced a stock offering which would be dilutive to the Company’s existing shareholders. The stock offering was poorly received by the stock market and the Company’s stock price dropped. As a result, Cuban was able to save approximately $750,000 by liquidating his shares just before the stock offering was announced. Cuban learned of the stock offering one day before the investing public when the Company’s CEO called Cuban to inform Cuban of the offering and to give Cuban an opportunity to participate in the offering as an investor. Based upon the documents in the public record, those facts appear to be undisputed. It is less clear exactly what was said when the Company’s CEO called Cuban, but the SEC alleges that Cuban agreed to keep information regarding the stock offering confidential. In fact, the SEC claims that Cuban reacted to the information by saying, “Well, now I’m screwed. I can’t sell.” Cuban has denied that there was any confidentiality agreement between him and the Company. The SEC filed suit against Cuban alleging that Cuban was guilty of insider trading. Specifically, the SEC claims that Cuban traded the Company’s securities while in possession of material, non-public information in violation of a duty of “trust and confidence” that he owed to the Company. If the SEC can prove those charges, Cuban may be found to have violated Section 17(a) of the Securities Act of 1933, Section 10(b) of the Securities Exchange Act of 1934 (the Exchange Act), and/or Rule 10b-5 under the Exchange Act. So is Mark Cuban guilty of insider trading? There are a number of legal and factual issues that must be resolved by the courts before that question can be answered. There is no federal securities law that directly prohibits insider trading. Instead, the SEC has attempted to restrict investors from trading in securities while in possession of inside information by relying on the general anti-fraud provisions of the federal securities laws. Under the so-called “classic theory” of insider trading, an insider (such as an officer or director) of a company is deemed to have a duty to the shareholders not to buy or sell stock while in possession of material, non-public information. Because the company insider has a fiduciary duty to the shareholders, it is considered fraud under federal securities laws for the insider to take advantage of the company’s shareholders by trading on the basis of information that is actually the property of the shareholders themselves. Accordingly, the insider has a duty to disclose inside information or abstain from trading while in possession of inside information. Classic insider trading theory does not reach Company outsiders, however, who have no duty to the Company’s shareholders. So under classic insider trading theory, company outsiders cannot commit securities fraud on the shareholders because the outsiders have no duty to the shareholders. Without a duty being breached, the outsider could not be guilty of deception as required under the anti-fraud provisions. This result seemed unfair to the investing public, so the courts developed the “misappropriation theory” of insider trading. Under the misappropriation theory, any person who acquires material, non-public information as a result of a relationship of “trust and confidence” cannot misuse that information by buying or selling securities without committing securities fraud. The misappropriation theory uses the violation of such “trust and confidence” to establish the deception needed to prove securities fraud. For example, the Supreme Court has ruled that an attorney who acquires knowledge of a confidential takeover attempt through the “trust and confidence” of the attorney-client relationship cannot use that inside information to trade in securities of the company that was the target of the planned takeover attempt. He never agreed to keep the information confidential. Accordingly, the conversation between Cuban and the Company’s CEO did not create a relationship of “trust and confidence” between the Company and Cuban which could give rise to insider trading liability. Even if he did enter into a confidentiality agreement with the Company, he never agreed to not to trade upon the information. Accordingly, the trading itself did not violate anyone’s “trust and confidence,” and thus cannot be deemed insider trading. Even if he did enter into a confidentiality agreement with the Company, he did not otherwise have a relationship of “trust and confidence” with the Company. A “naked” confidentiality agreement, without more, does not by itself create a fiduciary-like relationship of “trust and confidence” similar to the relationship of a company officer or director with the company’s shareholders or an attorney-client relationship. The Dallas district court accepted Cuban’s argument #2 above and dismissed the SEC’s case. The court reasoned that the duty to keep information confidential was logically distinct from a duty to refrain from trading on the basis of such information. Thus, by failing to allege that Cuban had agreed not to trade on the confidential information, the SEC failed to allege facts that could support a breach of a duty not to trade by Cuban. Without such a duty, Cuban could not have breached a duty that would give rise to an insider trading claim. An agreement to keep information confidential encompasses and necessarily implies an agreement not to trade the Company’s securities until the information became public. Such a duty is recognized by the SEC’s Rule 10b5-2 under the Exchange Act and by common sense. The Company would not have volunteered detailed confidential information about the pending stock offering if it had known that Cuban would promptly trade upon the information. Likewise, a reasonable recipient of such confidential information would not believe that such trading was authorized. The Fifth Circuit court reversed the district court and remanded the case for further fact gathering proceedings. The court reasoned that the SEC’s allegations provided a “more than plausible” basis to find that there might have been an understanding between the Company and Cuban that Cuban would not trade on confidential information. If so, such an understanding might be the basis for a relationship of “trust and confidence” which might give rise to an insider trading claim. The court noted that there is little jurisprudence on the question of what constitutes a relationship of “trust and confidence” for the purposes of insider trading law and that such a determination is “inherently fact-bound.” Therefore, the court concluded that further development of the factual record would be necessary. It may be quite a while before the factual and legal issues arising in this case are fully resolved. In the meantime, it would be wise for any public company seeking private financing or otherwise considering privately disclosing material, non-public information to consider obtaining a written confidentiality agreement from the party receiving such confidential information prior to disclosing the information. The confidentiality agreement should include an agreement by the receiving party not to disclose OR USE the confidential information, including trading securities issued by the disclosing company, until the information becomes publicly available. Copies of the key pleadings and court decisions related to this matter are available of the University of Denver’s website here: http://law.du.edu/index.php/corporate-governance/sec-and-governance/sec-v-cuban. "Why do we have to have all these Representations and Warranties?" That is a common complaint in merger and acquisition transactions (and other transactions for that matter). For example, a 75-page purchase and sale agreement might have 30 pages of reps and warranties in which the seller certifies various facts about the seller's company. (1) They serve a disclosure function. By asking the seller to rep and warrant facts about the seller's company, the buyer learns valuable information about what may be less-than-perfect about the seller's business. For example, if the purchase and sale agreement asks the seller to rep and warrant that the seller's company has no pending litigation, the seller would (or at least should) disclose that the seller's company has just been sued by one of its largest customers. (2) They give the buyer an "out" to avoid closing. The purchase and sale agreement typically provides that the deal will not close unless all of the seller's reps and warranties are true and correct in all material respects as of the signing date and as of the closing date. Therefore, if the buyer becomes aware of an inaccurate rep or warranty during its pre-closing due diligence period, the buyer may be able to refuse to close the deal or may be able to demand concessions from the seller prior to the closing. For example, if the buyer learns before the closing that the seller's company has spilled hazardous materials on one of its properties that was not disclosed by the seller in the purchase and sale agreement, the buyer might request a reduction of the purchase price. 3) They give the buyer the right to sue the seller. If the purchase and sale agreement provides that the seller's reps and warranties "survive" the closing, then the buyer can typically sue the seller for breach of contract during such survival period if the buyer can prove that one or more of the seller's reps and warranties was inaccurate as of the closing date. Of course, no seller likes to make pages and pages of representations and warranties, but those reps and warranties are typically critical to a buyer to assure the buyer is really getting the company that the buyer expects. Special thanks to Joanna Herzik of the Texas Bar for graciously inviting me to participate. I am often asked something like: "What area of law do you practice in?" When I answer "Corporate and Securities law," I am often met with blank stares or other responses that indicate that the other person has only a vague notion of what folks in my area of the law do. Some people think "corporate law" means you only work for big corporations, which is sometimes, but hardly always, the case. Others use the term "corporate lawyer" to refer to any lawyer who represents companies who they imagine are determined to pollute the environment, distribute unsafe products, crush labor unions and torture puppies. Some must imagine that we all look just like the team of gray-suited attorneys engaged by The Simpsons' Montgomery Burns to intimidate and crush the innocent citizens of Springfield. The truth is that Corporate and Securities lawyers are much less evil than one might think. We assist clients with the formation of companies, the merger and acquisition of companies, and the financing of companies. As far as I know, no client of mine has ever tortured puppies. In 1997, when I was a law student trying to decide what area of law to pursue, I asked a corporate and securities attorney to explain what he did. He said, "We assist clients with buying and selling companies and with public and private offerings of debt and equity securities." Of course, we do other things too, but I thought that explanation artfully captured the essence of what we do. One pro-small business feature of the Dodd-Frank Act is SEC. 989G. (EXEMPTION FOR NONACCELERATED FILERS). That Section exempts so-called "non-accelerated filers" (publicly traded companies with a market capitalization of less than $75 million) from the onerous provisions of Section 404(b) of the Sarbanes-Oxley Act of 2002. Section 404(b) of SOX would otherwise require such smaller public companies to obtain an attestation report on the company's internal control over financial reporting from the company's auditors. Prior to passage of the Dodd-Frank Act, the SEC had repeatedly given non-accelerated filers a reprieve from Section 404(b) of SOX by deferring the deadline for such companies to comply with Section 404(b). Now, thanks to the 111th Congress, that reprieve is permanent. At least until Congress changes its mind again! The impact of the Dodd-Frank Wall Street Reform and Consumer Protection Act is far reaching and in many respects unknowable until regulatory rule making fleshes out the particulars of the new law. One item that is clear is that it just got a lot harder to qualify as an "accredited investor" for the purposes of a so-called Reg D private placement. A quick background on the term "accredited investor" is probably in order. Those are folks that federal securities regulators (the SEC) have determined are sophisticated enough to make their own financial decisions. Usually a person's accredited investor status is based upon such person's financial net worth. Sales of securities to accredited investors are often exempt from the strict disclosure obligations and registration otherwise applicable to securities sales. There are several types of accredited investors, such as banks, insurance companies, investment companies and high net worth individuals. It is this final category of accredited investors that has received the most attention from securities regulators. Previously, "any natural person whose individual net worth, or joint net worth with that person's spouse, at the time of his purchase exceeds $1,000,000." That definition may have made perfect sense at the time such definition was originally adopted, but with inflation and sky-rocketing home values in the last decade, many people who met the technical definition of accredited investor were no longer especially sophisticated. The Dodd-Frank Act attempts to deal with this issue by excluding the value of a natural person's home from the calculation of the $1,000,000 threshold for accredited investor status. The act also empowers the SEC to further adjust the definition of accredited investor to reflect the impact of inflation or other factors that the SEC determines relevant. I expect this change in the law will have a profound impact on private companies' access to capital as many former accredited investors will no longer meet the definition and will thus be unlikely participants in private placement transactions. I'm pleased to report that I will be in Austin tomorrow serving on the Planning Committee for the 2011 Conference on Securities Regulation and Business Law sponsored by the University of Texas Law School. The conference itself will take place in Dallas, Texas on February 10 - 11, 2011 at the Belo Mansion. If you have an interest in corporate or securities law, you should absolutely make plans to attend this conference. The conference routinely has among its faculty leaders of the Texas and Delaware securities law bar. I'm sure the 2011 conference will be no different. Is it time to embrace the Series LLC? Have you heard of a Texas "Series LLC"? If you are like most Texans, your answer is probably no, but the Series LLC has the potential to revolutionize the way in which corporate finance transactions are structured in Texas. The Series LLC was adopted by the Texas legislature effective September 1, 2009, by adding a new Subchapter M to Title 3 (Limited Liability Companies) of the Texas Business Organizations Code (See Section 101.601 et seq. of the TBOC). The Texas Series LLC statute is patterned after a similar statute adopted by Delaware in 1996. Here's how it works. A Texas limited liability company can choose to establish one or more series of members, managers, membership interests or assets that has its own separate rights, powers or duties with respect to specified property or profits and losses associated with specified property. So long as proper procedures are followed, debts, liabilities, obligations and expenses of any one series are enforceable only against that series and not against any other series. Setting up a "Series LLC" is somewhat analogous to setting up a subsidiary company because it permits the parent company to separate out certain assets and operations from the remainder of the company thereby protecting each company's (or each series's) assets and operations from potential claims from creditors of the other company (or series). An advantage of the Series LLC is that it reduces the administrative burden of setting up multiple subsidiary companies to achieve asset protection goals. A disadvantage is that because the Series LLC concept is new to Texas, creditors and courts are still learning to appreciate this new tool and the scope of its liability protection. There is also a danger that other states may not respect the Series LLC. I expect that we will see more and more Series LLC's in Texas as companies, creditors and courts become more comfortable with the extent of liability protection offered by the Series LLC. Special thanks to Sean Bryan who inspired this post by presenting a Continuing Legal Education seminar on this topic last week to the Corporate Counsel Section of the Tarrant County Bar Association. 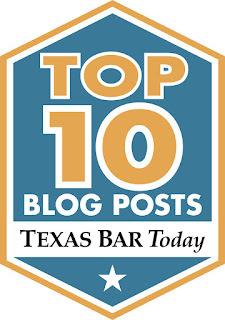 Welcome to the North Texas SEC Lawyer blog. I will resist the temptation to refer to this as a "blawg" as other blogs on legal topics have chosen to do. My goal is to share news and information related to corporate and securities law. I hope you find this website informative and occasionally entertaining. Thank you in advance for reading this blog and sharing your comments.